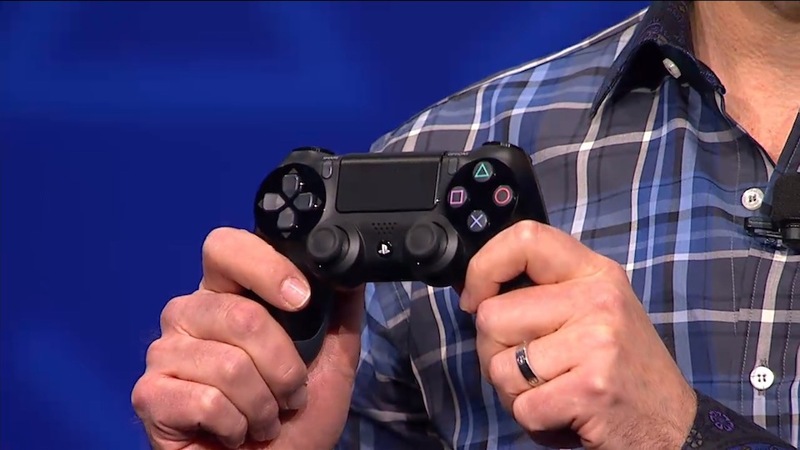 After years of speculation, Sony finally announced the PlayStation 4 yesterday. It was inevitable, but considering I finally got a PlayStation 3 this past December, I was nevertheless a little bummed out. PlayStation 4 won't be a day-one buy for me regardless of my PS3, because with the glaring exception of the Nintendo GameCube, new consoles tend to have sparse libraries for their first year of existence (yes, earlier Nintendo consoles had Mario at launch, but they didn't have anything else for a long time). No matter what the hardware is like, it means nothing without great software. What were my takeaways from Sony's big reveal last night? The new controller (seen above) looks great, for the most part. It has more ergonomic contours than the overrated, uncomfortable DualShock controllers of yore. The shoulder buttons, D-pad, and control sticks seem like an improvement over the PlayStation 3's, although I've always been partial to asymmetrical control sticks as seen on the Xbox 360. The touch screen looks like a tacked-on addition. Remember last console cycle when Nintendo revealed the Wii's motion controls, so Sony shoehorned limited "Sixaxis" motion controls into the PS3 controller and no one cared about it? This could be the same thing in response to Wii U's touchscreen controls. We'll see. The ability to play PS4 games on your PlayStation Vita sounds like it'll be just as successful as Nintendo's attempts to connect the GameCube to Game Boy Advance and the Wii to DS. That is to say "not successful at all." And at least people owned Game Boy Advances and DSes. PSVita is a failed handheld. The "spectate" feature sounds like a great idea, especially with the rising popularity of things like Let's Play videos. I just wish the PS4 would allow easy upload to YouTube instead of limiting video to other PlayStation users. 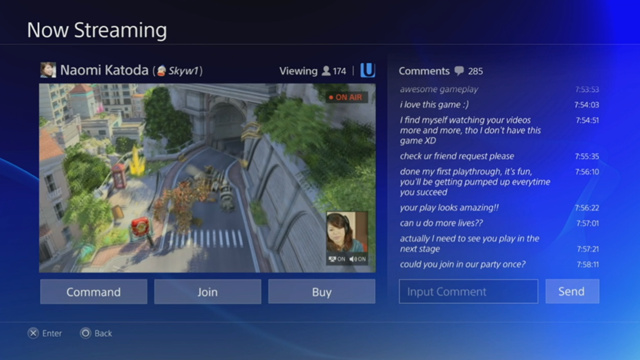 The ability to stream PlayStation 1-3 games on PS4 is a great idea. This will make it easier than ever for players to enjoy classics from the past. It seems the PS4 won't have any sort of backwards compatibility, but despite fan uproar, that's fine with me. Were you angry when your CD player wasn't backwards compatible with cassette tapes? At this point it's simple and affordable to play HD re-releases of old games, and the people who really want to play games in their original format probably also still have their old consoles lying around to play them on. It's a non-issue. But why does the PS4 use discs for its games at all? It's baffling that a console for 2014 wouldn't have fully digital distribution. Steam is more popular than ever, not to mention Xbox Live Arcade and Sony's own PlayStation Network. Microsoft and Sony have both also already dabbled in digital distribution for full $60 titles on Xbox 360 and PS3, so why wouldn't they take the next logical step with the next generation? Digital distribution lowers the cost of games for the consumer, and it lowers the rate of pirated and used game sales which is good for the console manufacturers. Is it all the work of GameStop and Best Buy lobbyists who still need people buying physical copies of games? Some people argue we're not quite "there yet" for 100% digital distribution. But we all know it's the future of game distribution. If the last console generation was any indication, this upcoming one could last upwards of seven years. Do we really want to stall for another seven years? Why would people still want to use discs in 2020?